Choir Collaboration Designed for professional, amateur, university, college, and high school choirs, this unique repertoire includes arrangements of traditional songs alongside original and accessible contemporary works for Orchid Ensemble”s instrumentation and choir. 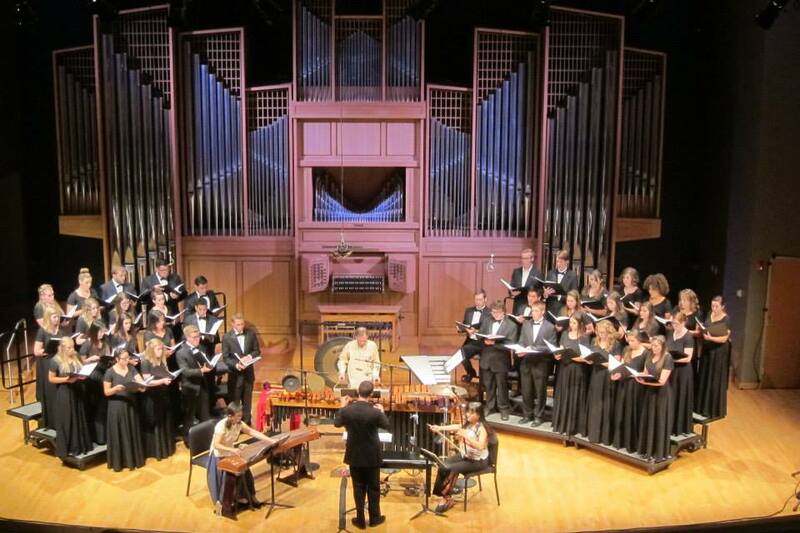 Choir members have the opportunity to sing in languages such as Taiwanese, Mandarin, Hebrew, and English, while incorporating melodic, harmonic, and rhythmic elements from traditions ranging from Indonesian Gamelan, Beijing Opera to Latin Jazz. Choose the repertoire: a complete choral repertoire is listed on the ensemble”s website. Rehearsal: in choir rehearsals, the ensemble members and the choir director will work together to rehearse the materials. The ensemble will assist in the pronunciation and inflection of Chinese text and expressions/ornaments/nuances of the melodies.